Rocky Mountain Holidays is a global wholesaler for the Rocky Mountaineer® train, specialising in vacation packages which include this magnificent rail journey through the Canadian Rockies from Vancouver, Canada, and Seattle, U.S.A.. The Rocky Mountaineer train is included in all of our customised holiday packages and can be combined with VIA Rail Canada, motorcoach holidays, private SUV holidays, self-drive holidays, tours and cruise holidays to Alaska from Vancouver or Seattle. For larger groups we offer private tours. Our focus on Western Canada and the Canadian Rockies means you will really maximise your time here, as well as receive the best service available. 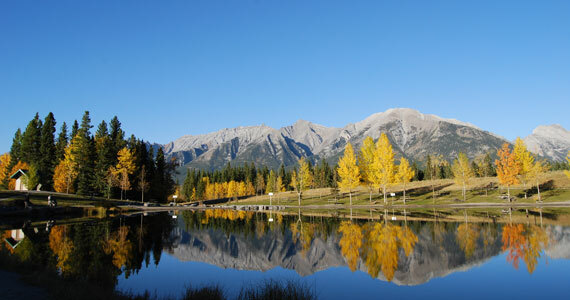 Banff, Canmore, Lake Louise, Jasper, Kicking Horse, Fernie, Kimberley, Whistler, Vancouver and Calgary can easily be integrated into any of our Rocky Mountain itineraries and we have provided information on these Canadian locations for your convenience. We also include Seattle (U.S.A.) in many of our packages which utilizes Rocky Mountaineer's newest route: Coastal Passage. Our office is located in Beautiful British Columbia (B.C.) in Western Canada so our local knowledge is extensive. We can therefore help you with every single detail of your holiday here in BC as well as in Alberta, right across to Canada's rugged Atlantic coast. We are licensed by Consumer Protection BC, have an A+ rating with the Better Business Bureau and a 5-star review rating through independent online review websites. Booking through Rocky Mountain Holidays is the most cost and time-effective way to plan and book your Rocky Mountaineer holiday in the Canadian Rockies and Western Canada. We look forward to hearing from you - all aboard! Rocky Mountaineer 2019 and 2020 Sales Now On!